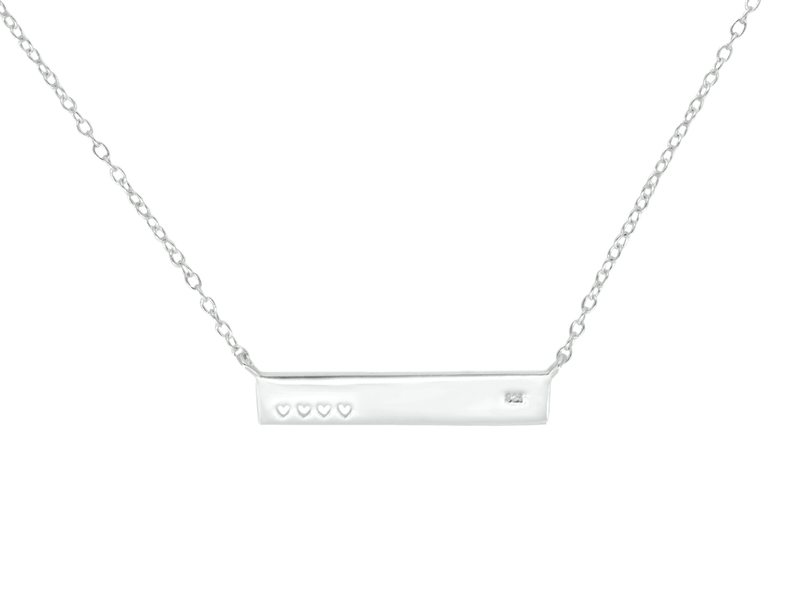 This cute necklace has four hearts cut out. 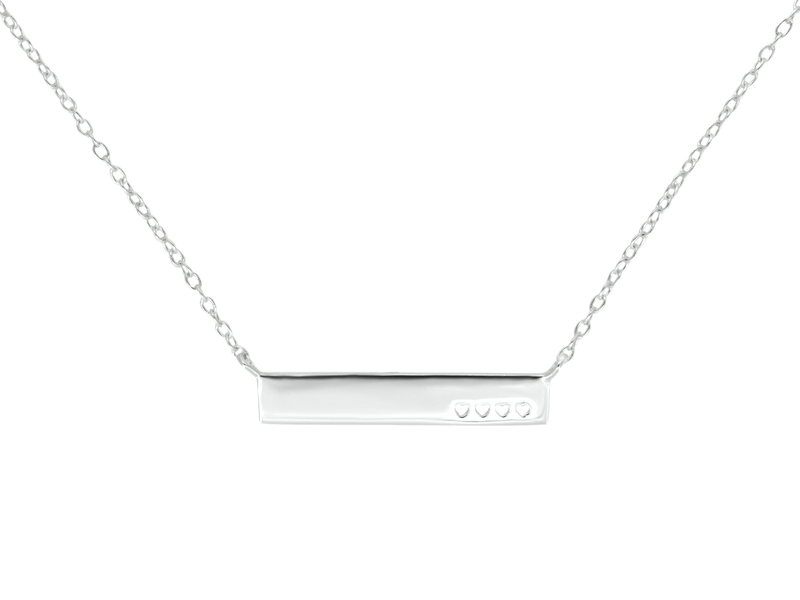 Both the front and the back of this necklace can have a name, date or text engraved. The preview feature allows you to add your own text to simulate the result in advance. 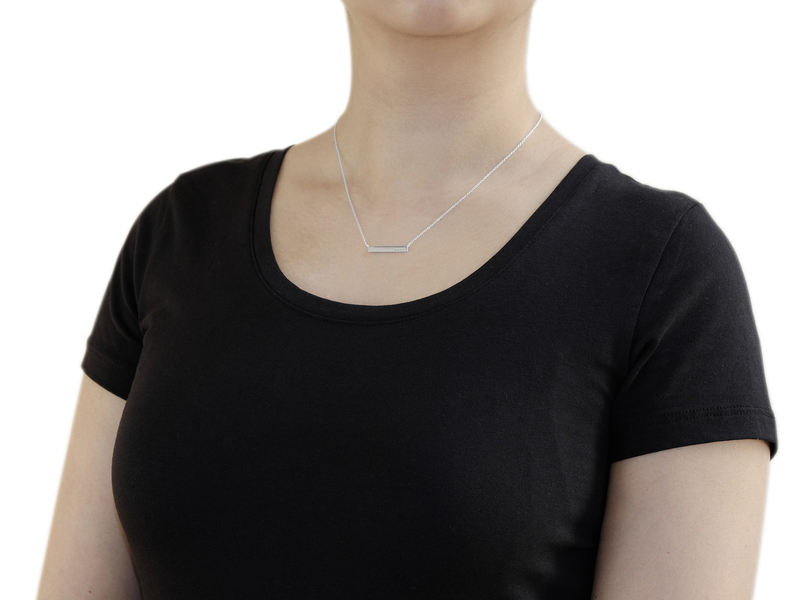 This necklace is made of high quality silver. This is a nickel free material, so that the jewellery is antiallergic. This product is out of stock. Fill in your email address below and we will let you know when the product is available again.